Update: Table Quiz moved to Wednesday March 7th at 8pm due to weather warning! Stay warm and see you on the 7th. 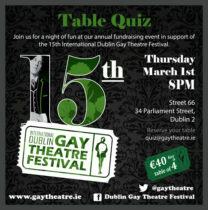 Booking: quiz@gaytheatre.ie. Anyone who booked already will be notified. Our annual table quiz takes place in Street 66 Parliament Street. Join us as we prepare for our upcoming 2018 Festival from May 7-20. Tables of 4 are €40 with a range of prizes on offer. 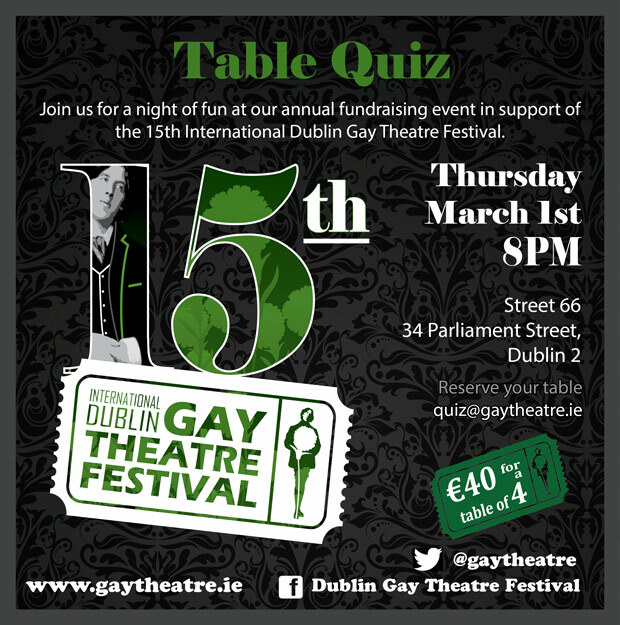 Reserve your table in advance: email quiz@gaytheatre.ie with a contact name. Quizmaster for the night is the fabulous Ms Dolly Grip! Proceeds will go to support IDGTF 2018. 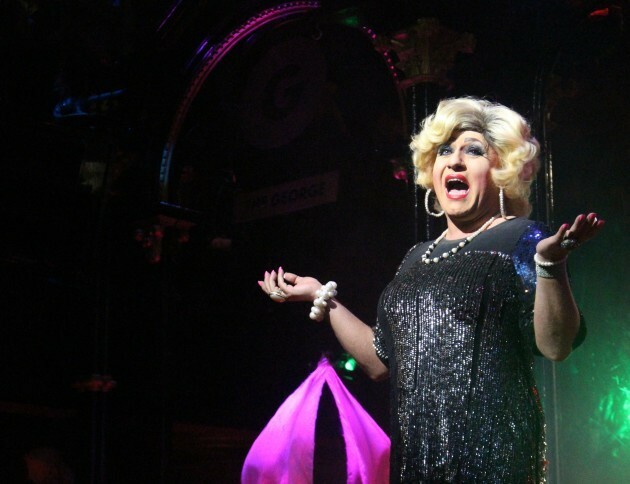 As a voluntary not-for-profit organisation your support is vital so that we can continue to celebrate LGBTQ identity through theatre and support artists telling LGBTQ-related stories.